SAF-T-CURETM ECONOMY NITRILE FLOCK-LINED GLOVES provide excellent protection for the painter in spraying and mixing operations. 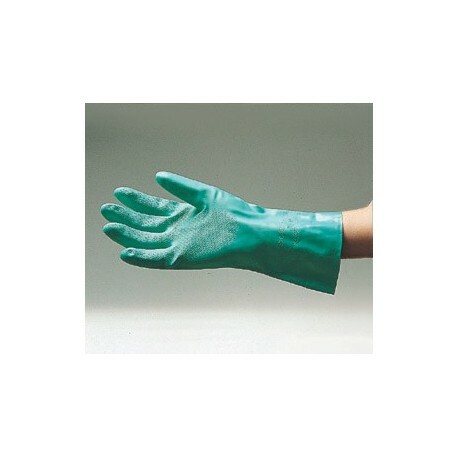 Nitrile gloves resist puncture and abrasion while protecting against petroleum, solvents, grease, oil and other shop contaminants. The glove is flock-lined and offers a good feel for the spray gun. 12 pairs/pack, 12 packs/case. Sold in case quantities only.